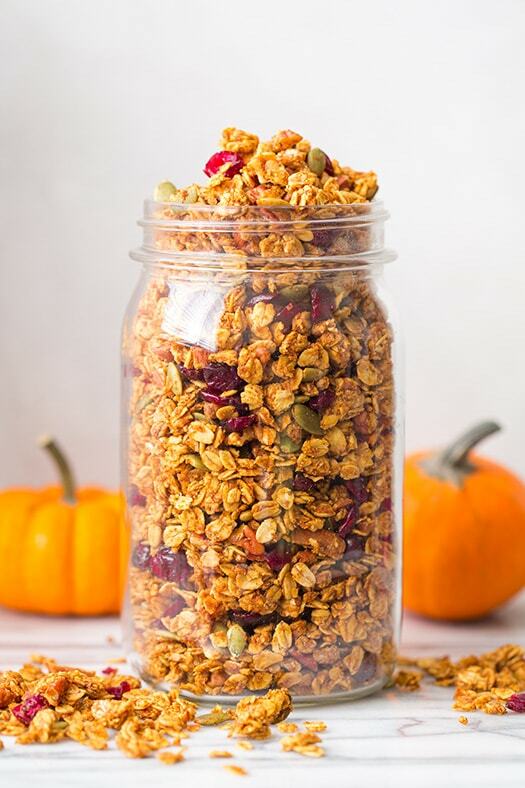 In this recipe you will find all the flavors of fall together in one bowl of perfectly crunchy and sweet, pumpkin flavored granola. The spices of fall baked goods are my favorite, so today I added them to a traditional granola along with a fair amount of nuts (for good crunch), both pecans and pumpkin seeds, then this sort of concentrated pumpkin puree and I finished it with some tart dried cranberries. They way all of those ingredients pair together is simply dreamy. This granola is amazing to say the least. It will definitely be my go to fall granola. Pumpkin granola can be a little tricky because of all that excess moisture in the pumpkin. With granola we are working to dry it not make it wetter. After my first attempt of adding pumpkin puree as is I ended up with a pumpkin granola that was slightly soggy, so I determined to simply squeeze a fair amount of the pumpkins moisture out using paper towels. It worked like a charm because the second time around I got just what I was looking for. 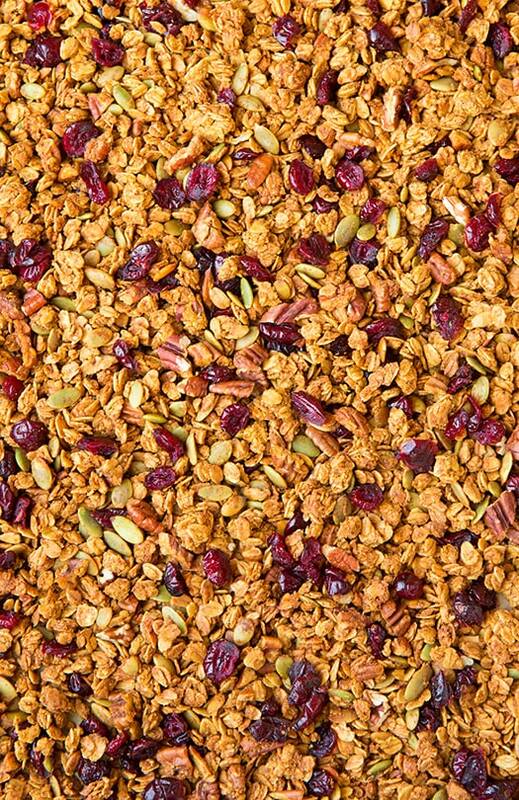 A deliciously crunchy granola with just the right amount of flavor. I also changed the recipe to add the pumpkin seeds near the end because I felt like mine were too toasted (the pecans were fine but the pumpkin seeds were too toasty after baking that long). Also it’s likely you’ll need the extra 10 minutes at 250 to fully dry the granola out so just plan accordingly. Want to pin this for later? Follow link HERE. The perfect autumn granola recipe! 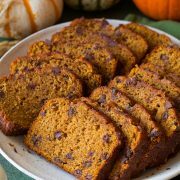 It's tossed with tasty pumpkin and spices and finished with crunchy pumpkin seeds and sweet cranberries. Preheat oven to 300 degrees. In a large mixing bowl toss together oats, flaxseed meal and pecans. Measure out pumpkin 1/2 cup at a time and place each half cup onto several layers of paper towels or on clean tea towels. Wrap and squeeze some of the excess moisture from pumpkin until each 1/2 cup as been decreased to 1/3 cup (giving 2/3 cup total). In a separate mixing bowl stir together the 2/3 cup pumpkin, brown sugar, honey, canola oil, vanilla, salt, cinnamon, ginger, nutmeg, allspice and cloves until well combined. Pour mixture over oat mixture, toss and stir with a rubber spatula or wooden spoon until mixture is evenly coated (it will take quite a bit of tossing and it will seem dry at first). 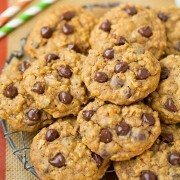 Spread mixture onto a Silpat or parchment paper lined baking sheet into an even layer. Bake in preheated oven, removing from oven and toss every 15 minutes (while breaking large clumps apart), 45 minutes. 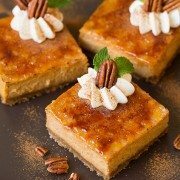 Toss in pumpkin seeds and bake 10 minutes longer. Remove from oven and allow to cool (you can place some in a bowl and add to freezer for several minutes to speed test) and if more crunch is desired, return to a 250 degree oven and bake about 10 - 15 minutes longer. Toss in dried cranberries, allow to cool completely then store in an airtight container.